What could be more lonesome than the sound of "last call" in an empty barroom, a park bench without pigeons, or a comedian with no audience? It's the color blue, and when blue is filtered through Flora Molton and Eleanor Ellis, it radiates multicolor sensation. This weekend is the second in a series of "Blues Traditions" at Cornell University. 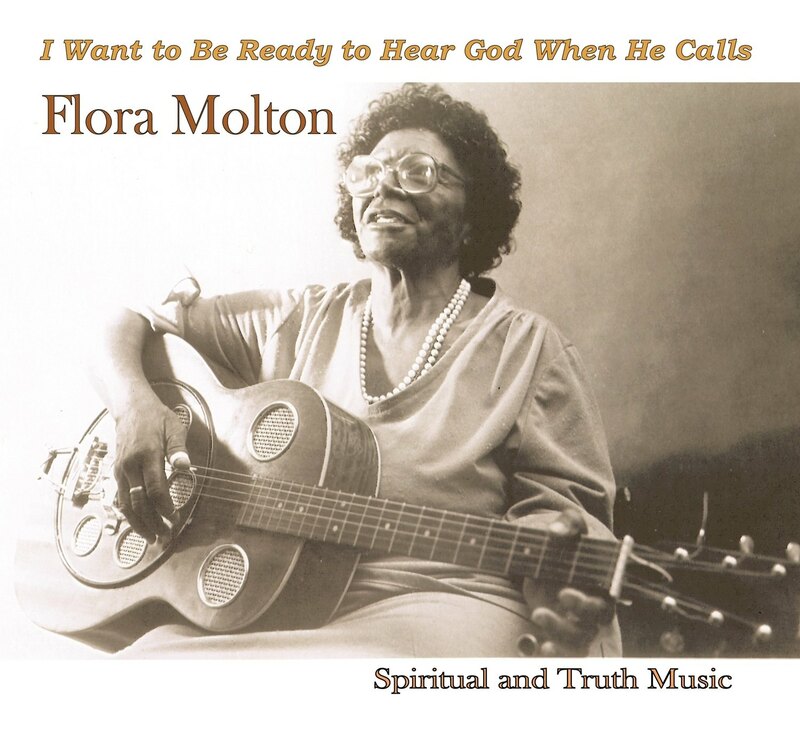 Flora Molton and Eleanor Ellis will be joined by Rosetta Reitz, a jazz historian, filmmaker and record producer. Reitz will give a lecture today at 3 p.m. entitled "Shouters and Wailers." The lecture — at Willard Straight Hall Art Gallery — is free and open to the public. On Saturday, Molton and Ellis blend their raw, passionate blues style for an unforgettable appearance. 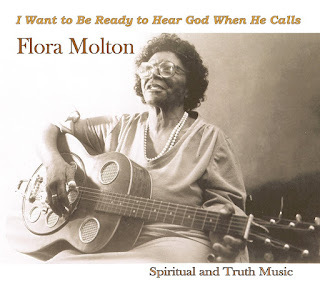 The "lonesome sound" of singer/guitarist Molton is a powerful union of turn-of-the-century black spirituals, gospel and old-time country. Molton, about 74-years-old, calls herself the "Lady Streetsinger" because her music has kindled its energy from rural Virginia and Washington D.C.'s downtown streets. Molton's sound might be lonesome, but she is rarely alone. 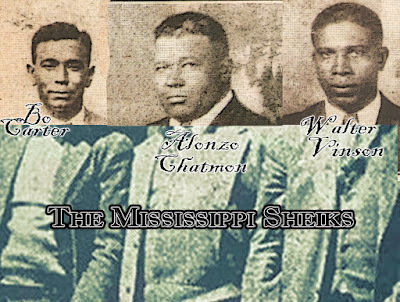 Molton will be joined by Ellis to tap the roots of the blues. Ellis is a native of New Orleans where she was drawn to the rural blues style..
She has a talent for rearranging songs and her expressive, gritty vocals can move a melody with airborne grace. 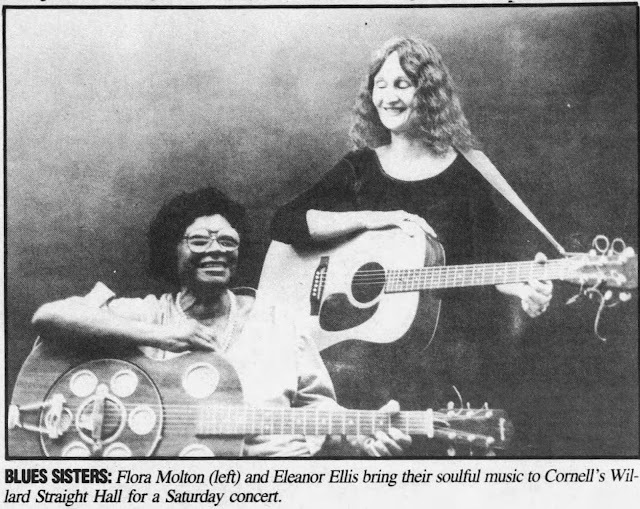 Two such powerful and fascinating musicians uniting in Ithaca is a rarity and Molton and Ellis won't be holding anything back. They will be giving a master class from 3:30 p.m. to 5 p.m. Saturday in the Music Room in Straight Hall, and a concert later that night at 8 in Willard Straight Theater. Reitz is a recipient of a National Endowment for the Arts grant to produce a series of television pro-grams for PBS entitled "The Blues is a Woman." BLUES SISTERS: Flora Molton (left) and Eleanor Ellis [brought] their soulful music to Cornell's Willard Straight Hall for a Saturday concert.